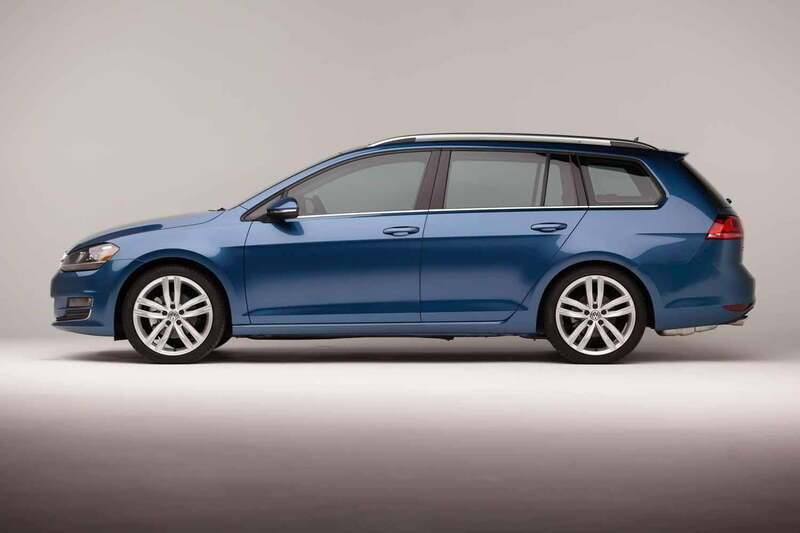 Volkswagen has announced pricing for the all-new 2015 Golf SportWagen that is scheduled to go on sale across the nation next April. 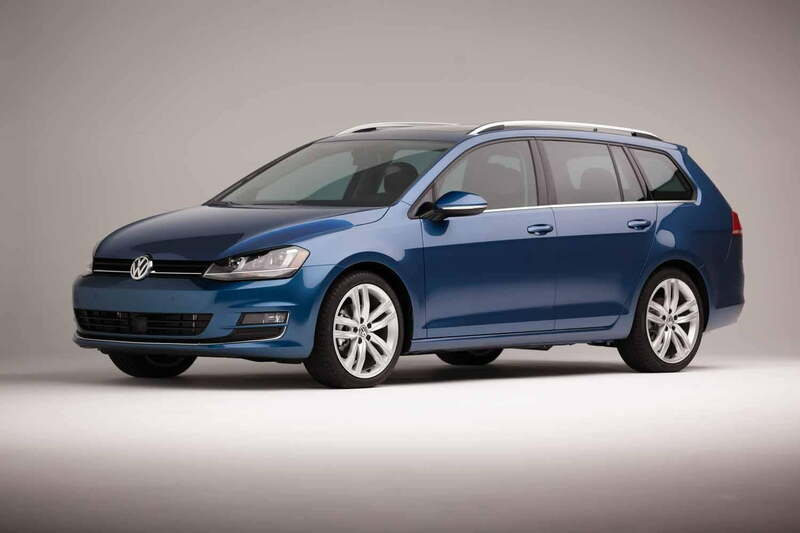 Designed to replace the Jetta SportWagen, the Golf SportWagen is offered with either a 1.8-liter gasoline-burning turbo four rated at 170 horsepower or a 150-horsepower TDI turbodiesel mill. The 1.8T returns an EPA-estimated 36 mpg on the highway while the TDI gets 43 mpg on the highway when driven with a light right foot. Volkswagen’s newest wagon stretches 179.6 inches long and 70.8 inches wide, dimensions that make it marginally longer and wider than the outgoing Jetta. In spite of the increased dimensions, the Golf is up to 137 pounds lighter than the Jetta thanks in part to the use of Volkswagen’s modular MQB platform. Trunk space checks in at 30.4 cubic feet with five occupants on board and 66.5 cubic feet with the rear seats folded flat. The entry-level SportWagen TSI S retails for $21,395, about $700 less than a comparable Jetta SportWagen. It comes generously equipped with 15-inch alloy wheels, Bluetooth connectivity, a touch screen radio, A/C and leatherette upholstery. Powered by the 1.8-liter turbo four, the SportWagen S comes standard with a five-speed manual transmission but buyers looking to go clutchless can order a six-speed automatic at an extra cost. The next model up in the SportWagen hierarchy is the TSI SE. Offered exclusively with the aforementioned six-speed automatic, the SE comes with all of the S’ features plus 17-inch alloys, front fog lights, a panoramic sunroof, keyless entry, a Fender Premium Audio System and a rear-view camera. The SE costs $26,995. Finally, stepping up to the TSI SEL brings 18-inch alloys, chromed roof rails, navigation, automatic A/C, ambient lighting and sport comfort seats. The SEL is priced at $29,345. TDI buyers can choose from the same trim levels. The TDI S, SE and SEL models cost $24,595, $27,995 and $30,345, respectively.